Syukur alhamdulillah, the day started with calm cool weather at my place... added with a beautiful rainbow up in the sky. The goody bags were packed earlier, on 21st Aug (Saturday). My sincere thank you to all who have been helping through out the journey of making this happened. Honestly,without your help and His blessing, this could not have been a success. 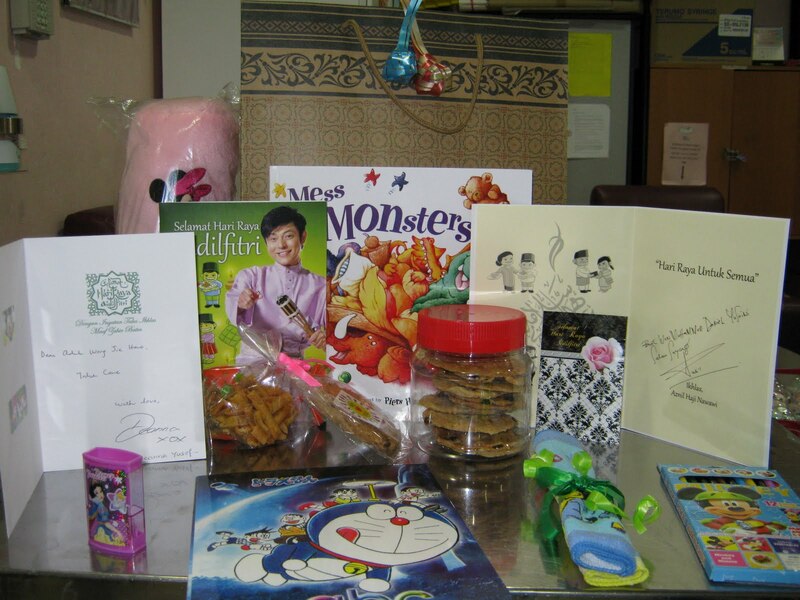 In each bag, there were a jar of cookies, 1 giant cookie, 2 handkerchiefs, 1 colouring book, 1 story book, 1 small bolster, 1 pack of kerepek, 1 colour pencil, 1 sharpener, 1 Eid greeting card from Ms. Deanna Yusof, 1 Eid greeting card from Mr. Aznil Hj Nawawi and 1 pack of Duit Raya. That is what Wishing Well Programme is all about... to make the little heroes smile, even for a few seconds. Their battle in fighting Big C is a journey that no words can describe how rocky the road is. InsyaAllah, with His blessing..hopefully, through the projects that we do and the love that we give to them, could sprinkle some dropsof joy, happiness and strength to each and one of them. This project was kicked off a few weeks before Ramadhan. With tight deadlines for everyone to comply to, syukur alhamdulillah... everyone poured in their love, time and commitment towards it. Only Allah SWT can repay your kindness.... insyaAllah. Everyone from different race, religion and gender comes together... for the children. Some of the individuals, I have known for years... some I have known through projects related to wishing well programme. No matter where our our path crossed, each and everyone of you are very special to me. Love you. Every time I visit him, he gives me his warmest smile. I know, he is in pain. Yet, he hides it. Usually he will say " buat tak tau je .., jangan layan sangat ". The degree of pain varies. 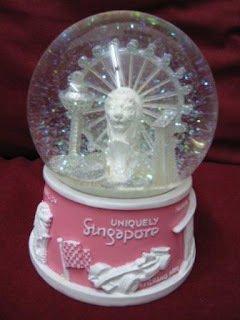 It may be very painful at night, and bearable at day time. Sometimes.. the pain is always there.. 24/7. His constant companion is.. morphine. Adik Mohd Hazim is one of the little heroes that have a special place in my heart.. and I believe, he is loved by many as well. Everyday is a battle.. but, he never fails to smile..
May Allah SWT bless u all..